Civil engineering, surveying, geotechnical, and construction services for $80 million 45 acre professional soccer complex: single-span indoor facility for two full size playing fields, a STEM high school academy, 150,000 SF of indoor team training space, a 5,000 seat outdoor stadium, two on-site lodging facilities, and six outdoor practice fields. According to land use planning for over 4000 acres, and considering utility master planning, phased capital facilities were identified, construction budgets prepared, and bond financing negotiated. A benefit-burden analysis derived a bond repayment amount for each type of housing unit (or ERU) in each phase. 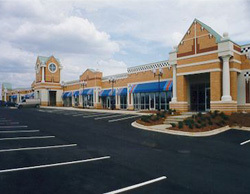 Infinity Consultants provided master planning and costing of all utilities, mass grading, roadways, and amenities. Final engineered construction drawings were prepared for initial phases. We employed interactive BIM modeling practices for all electrical systems, seismic bracing design, and clash detection. Structural design included extensive supplemental steel framing to the building structure. We provided services for multiple phases to several contractors. Included full on-site inspection. Design and city approval for 48-unit luxury townhome project. Included steep hillside grading and drainage engineering as well as debris flow analysis and mitigation. 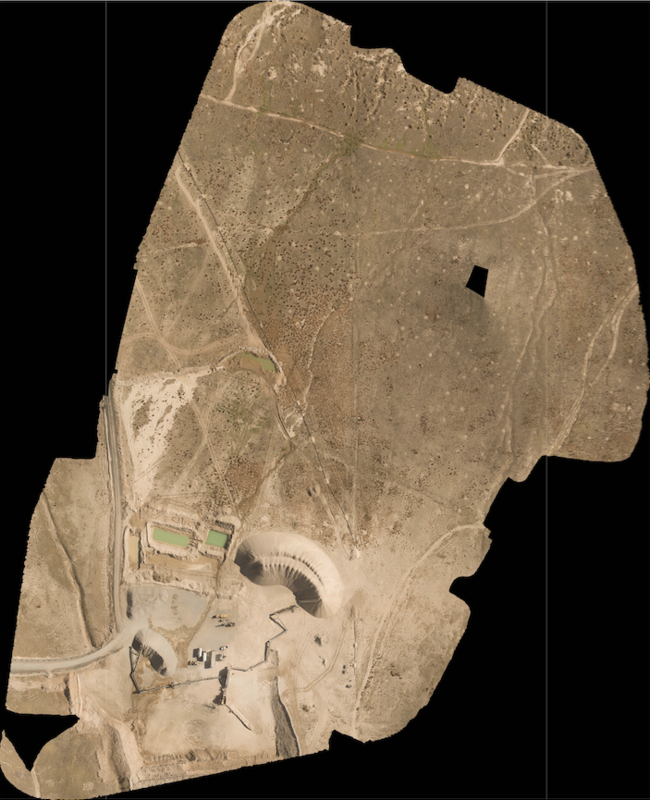 Mining plan and DOGM permitting were provided for this open pit. Site planning and design of materials washing and slurry conveyance and disposal were engineered. 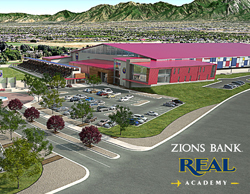 UDOT approved entrance, erosion control, storm drainage, power supply, and water supply were each included in the design. Reclamation grading and treatments were also provided. Infinity Consultants completed structural engineering services, seismic analysis, and BIM modeling of a $200 million semiconductor plant expansion. As a major cost saving measure we specified conventionally available bracing materials. No preassembled kits were used. Our BIM modeling of seismic bracing allowed the contractor to install bracing and piping simultaneously. Simultaneous installation is safer, more convenient, and less expensive. Infinity Consultants provided complete materials testing, mix design testing, and quality control monitoring for the following activities on a 2 mile long subsurface barrier wall, work pad, and containment dike: construction of 3.5 foot thick work pad soil mixing, 1.5 foot thick structural fill placement, 40 foot deep slurry wall, and 5 foot thick dike fill. We also provided testing for crusher material compliance for onsite rock quarry operations. An AASHTO accredited mobile soils laboratory was provided and operated by Infinity Consultants. Infinity also performed precondition, construction layout control, and as-built surveying services. This project concerns 550 Acres of underutilized property on Hill Air Force base. 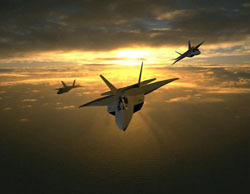 It is being developed using long term leases intended to accommodate contractors serving the air force. Infinity Consultants functions as the MIDA Engineer for this project. This federally owned land requires review and permitting from four cities, two counties, and approval from each and more than a dozen other regulatory agencies. Phase 1 includes full water, sewer, drainage, roadway, and utilities systems. Phase 1 construction is anticipated to be completed in the Spring 2012. 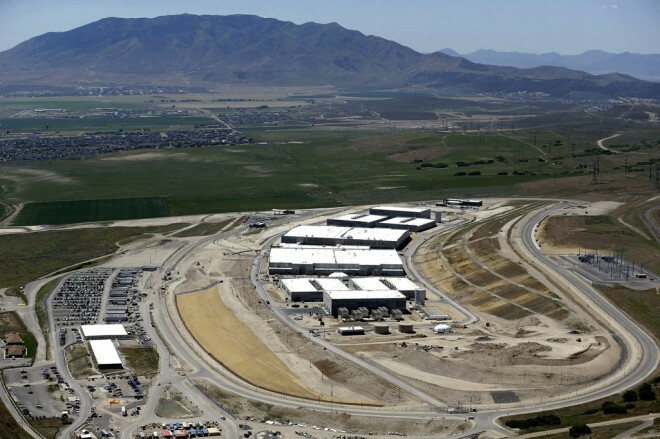 Infinity Consultants has worked with the National Security Agency to perform feasibility studies and master planning services for a 1.5 million-square foot data center at Camp Williams, Utah. The data center required 2 million gallons of water per day. Two separate systems were each master planned to provide redundancy for the 2 million gallons per day design requirement. Infinity Consultants also provided recommendations regarding waste water reuse, water treatment for TDS reduction, waste stream conveyance and disposal. In addition, we provided power supply, sewer system, and drainage master planning. Infinity participated in the bidding and construction process. For this project Infinity Consultants provided a full site and utility design for new Jacob Hamlin Building at the Provo MTC. 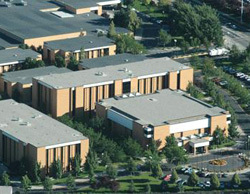 We worked closely with MTC personnel, Architect, BYU campus engineering, and Provo City engineering resulting in an expedited schedule, simplified construction, and meeting all of the owners functionality requirements. 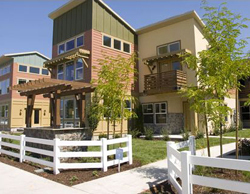 Infinity devised a phased design and construction program for this mixed use residential PUD. It consisted of 172 units of various size town homes and small single-family lots .Our grading, roadway, and utility engineering designs allowed each phase to function independently, and optimizes the efficiency and construction cost of the overall project. 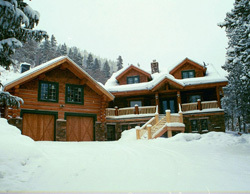 This unique project afforded us the opportunity to provide structural engineering for a timber frame lodge, and for retaining wall systems. Infinity worked with various other personnel on the project team including the landscaping contractor, the architect, the county building department, and the owner. All solutions were sensitive to the pristine surrounding environment. 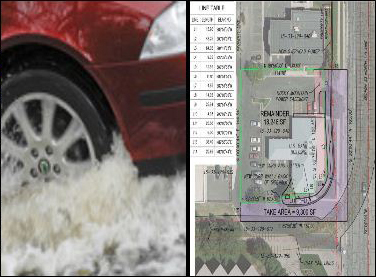 Infinity Consultants prepared a detailed site drainage analysis and computerized drainage model. We provided drainage data for all requested scenarios. In a deposition we presented our findings and provided expert witness testimony regarding detrimental drainage impacts. For the deposition we created colorized drawings, strategic photos, maps, exhibits, charts, and engineering results in order to provide irrefutable evidence. 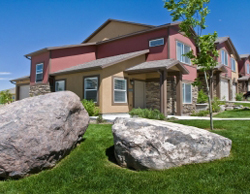 This upscale gated PUD community consisted of single family homes, open spaces, and amenities. We provided engineering solutions for high ground water, geologic hazards, historic tree preservation, and a pressurized waste water system. House siting was preliminarily designed for each lot to assure feasibility. 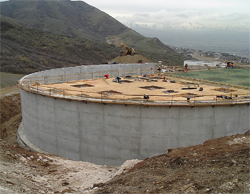 Infinity Consultants provided UDOT with hydrologic design calculations for the engineering of storm water conveyance from mountain watersheds across a proposed six-lane divided highway. We specified steep culverting energy dissipation techniques. We accommodated as much as 300 cfs along a three mile portion of the highway. This $750 million dollar project consisted of an expansion of an existing ski facility from small-local resort to a world class destination with five-star facilities. 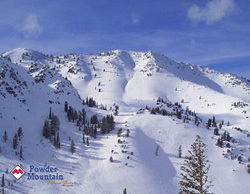 Skiable acres were planned to increase three-fold. The expansion also included a 36-hole golf course, restaurants, miles of roadways and utilities, a village center, all varieties of lodging, and an private airstrip. For this project Infinity Consultants provided a detailed cost projection on all infrastructure components and financial pro forma report. Rate Studies and Impact Fee Analysis is a core capacity at Infinity Consultants. We establish impact fees and water rates according to a water use demographics, pressure conditions, and historic use data. 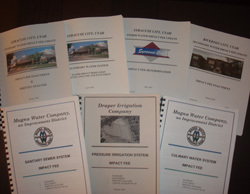 We have experience with variable water rates, water conservation rate incentives, and operation and maintenance costs. 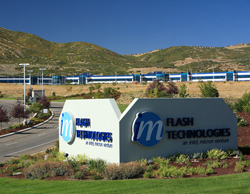 Substantial growth in a portion of Salt Lake County required that the Magna Water Company make significant improvements to its culinary water system. 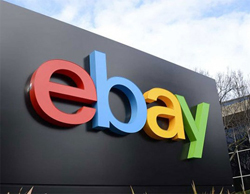 They serve over 15,000 customers. A new high capacity well, pump station, large water storage and new large diametervwaterlines were built. We modeled, sized, master planned, designed and managed the construction of a 350 foot deep 900 gpm well, a $2 million pump station with three 1,200 pm pumps and backup generator, a 5 mg post tension concrete water storage reservoir, and over 23,000 feet of 16-inch to 24-inch waterlines. 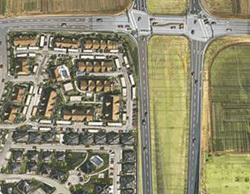 Two large developments on the east side of Herriman City meant that the city would approximately double in size from 30,000 to over 50,000 people in the next ten to twenty years. 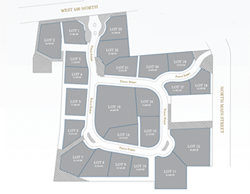 Infinity Consultants modeled these two large developments to determine the system expansion configuration and sizing. The model also incorporated the existing City water system so that the new area would operate efficiently with the existing area. Modeled improvements included three pump stations with capacities ranging from 800 gpm to 2,500 gpm, four 5 mg water storage reservoirs, and over 40 miles of water distribution piping. The sewer District needed a large diameter outfall from growing areas along the east side of the District to the wastewater treatment plant (WWTP). 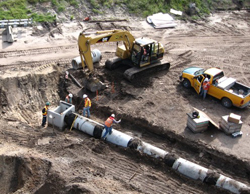 We designed, bid, and oversaw the construction of 30,000 feet of 12 to 24-inch sewer main. 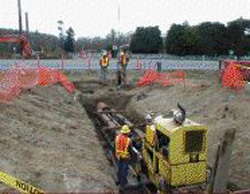 This project involved a 200 foot long horizontal boring beneath a highway. Slope control was critical during construction because the slopes on the pipes was very small. 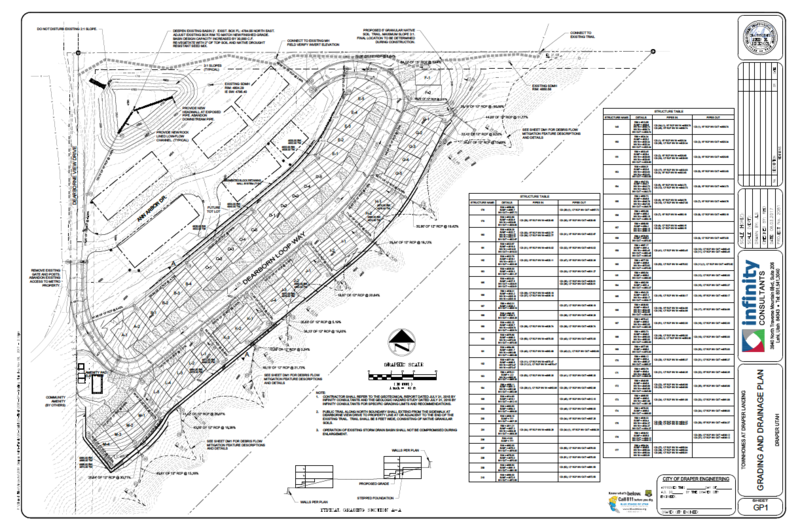 Infinity Consultants provided grading, drainage, and site layout plans for a 550 unit storage facility. 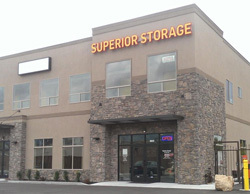 We also produced architectural renderings for the different style of storage units, office buildings, and retail space. After performing a market feasibility study, Infinity developed the product mix and configuration that optimized marketability and the occupancy rate, and the long-term financial performance of the project. Infinity Consultants’ expert witness staff generates reports, studies, evaluations, calculations, and exhibits for court cases, litigations, and arbitration. Also our use of computer graphics and before and after pictures provides a clear picture of your position. Our finite methods help demonstrate clear, concise, and simple explanations and define and isolate the issues. The findings provided by Infinity’s Expert Witness team brings irrefutable evidence to your case. Infinity Consultants is comfortable performing in any environment from the courtroom to the boardroom. Our credentials and experience provide the expertise you need.